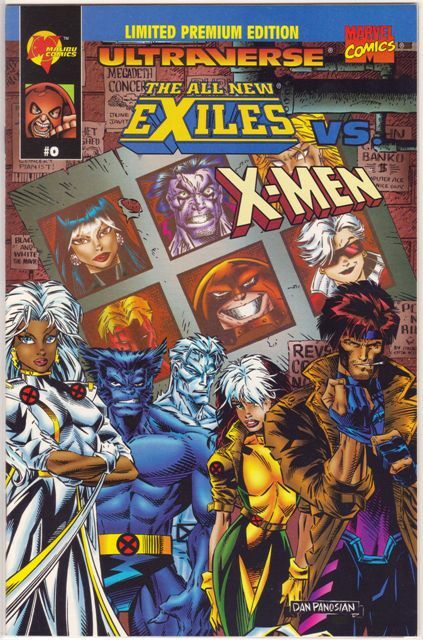 I just bought this one off eBay, and might have overpaid a bit at around $10 shipped. But it’s a pretty low run at 250 copies and I haven’t seen many for sale. Unfortunately it was dinged up a bit … perhaps someone sat on it. Argh. Probably not a complete list, but I’m adding them as I spot them. I thought I would ease back into things with a couple of variant covers. 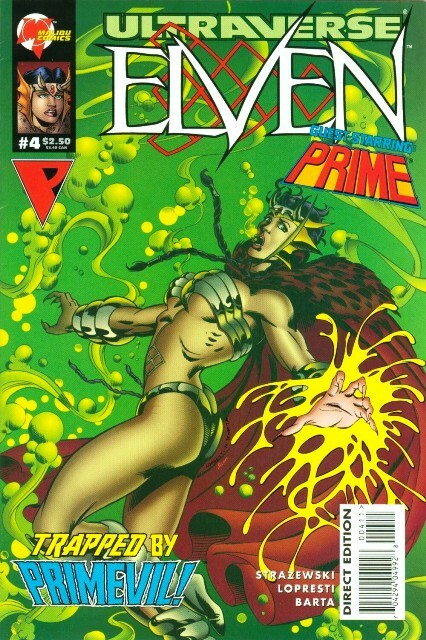 Prime had a couple, although all versions seem to be available in equal numbers. The first was No. 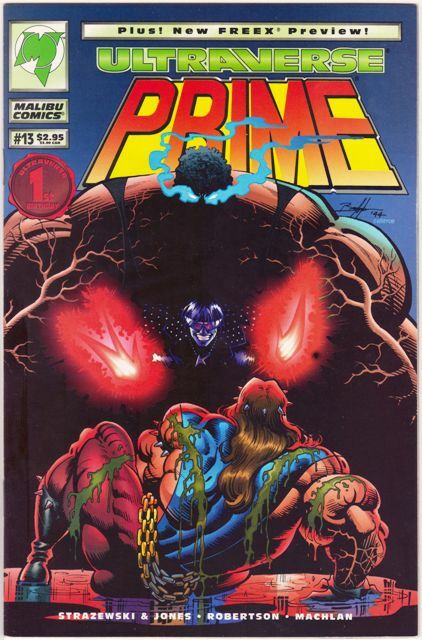 4, and had one version featuring a victorious Prime, the other Prototype. 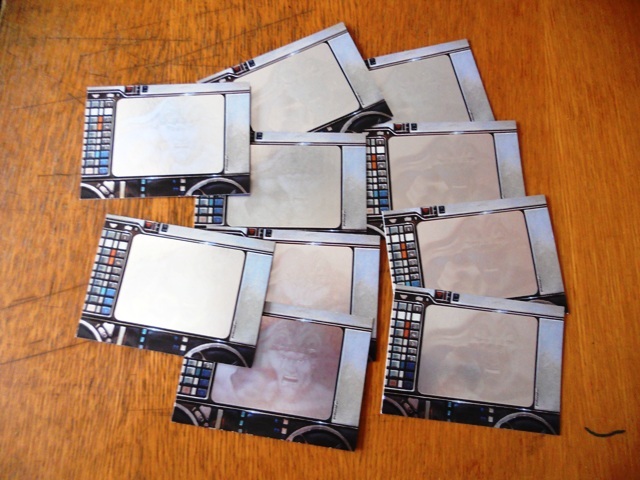 There were also polybagged versions of these with a card but no other tangible differences. The other variant was No. 13, for no apparent reason. 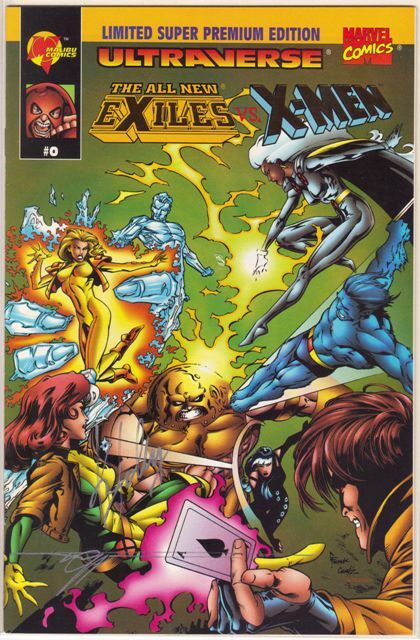 All of these are readily available and cheap in eBay and quarter bins everywhere. Edit: Moved some info from Tom Mason up into the main post. 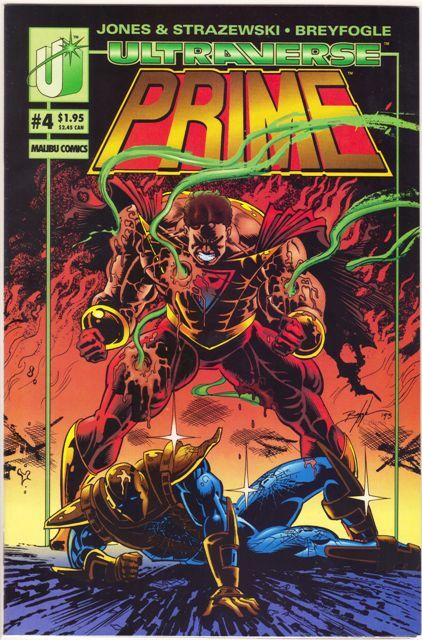 Regarding Prime #13 – my memory of that issue was that Norm’s contract was up after issue #12 and he didn’t want to renew. 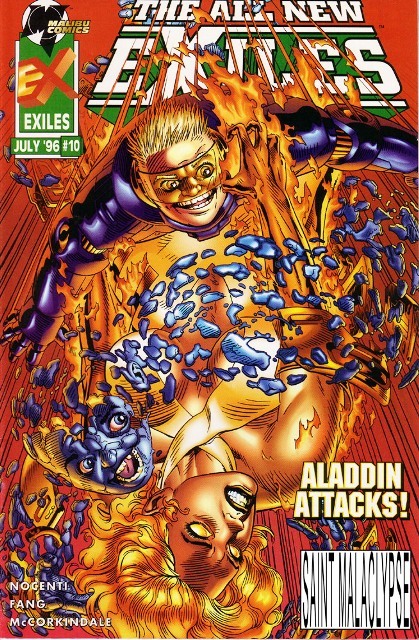 With a different artist coming aboard with #13, Malibu didn’t want it to be a jumping off point for readers. Hence, an easy cover variant to spice things up on the rack. So that was an interesting trip, my first time in California. It’s pretty much as hot as Florida but without the humidity so I didn’t get drenched every time I went outside. Nice. 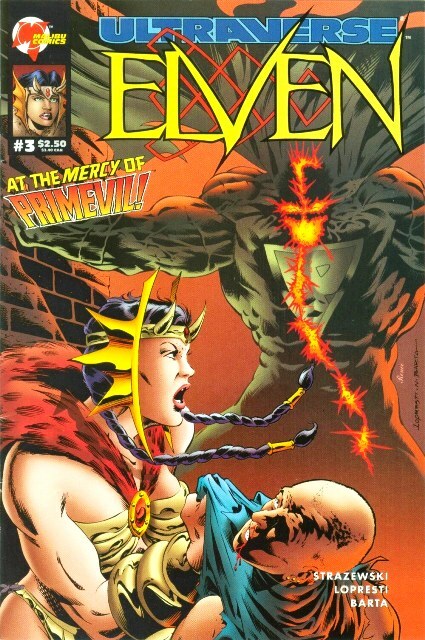 There is next to nothing to report that was Ultraverse-related from the Con. 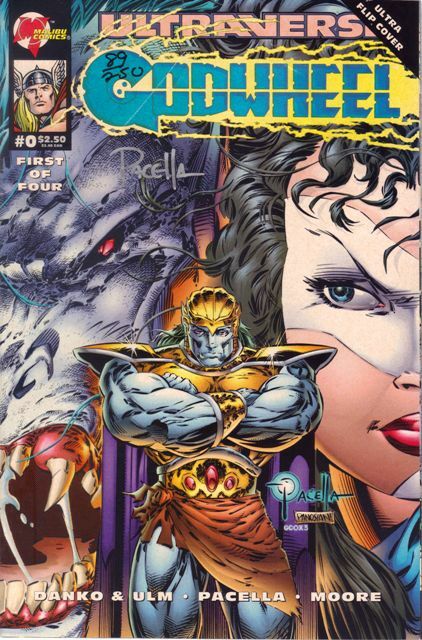 I saw a few artists there and asked them to sign a couple of things (mainly Ultraverse Series 2 cards). Aaron Lopresti and Terry Dodson shared a booth and Dave Dorman (who did all the art for the Ultraverse Masterpieces cards set) was there too. And there were a couple more here and there but honestly it was so hectic and large that I didn’t have time to do everything I wanted. And I was there all four days. 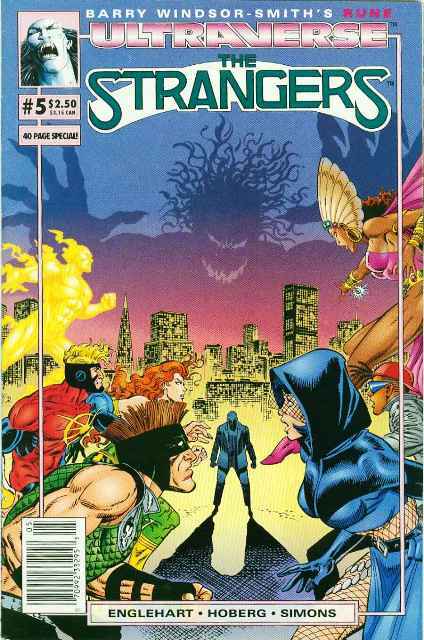 A couple of booths were selling Ultraverse comics but all I saw were commons in the $1 and $2 bins. I didn’t buy any. I saw a couple of pages of original art, but then I wasn’t really expecting to find much. 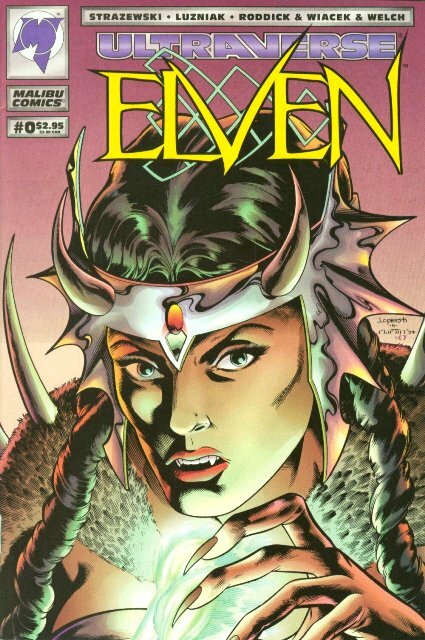 Next time I will try and get a couple of sketch covers done (wish I had thought of that earlier!). If you’ve never made it to SDCC, I highly recommend it. It’s packed to the rafters but it’s a mellow crowd (some people got a little cranky by Sunday) with thousands of interesting things to look at and a boatload of good deals. 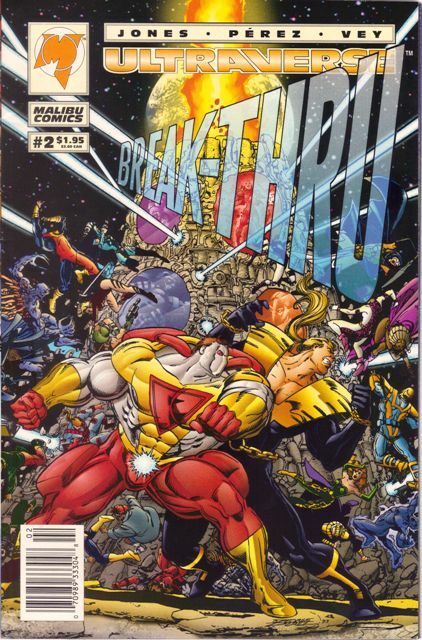 Maybe with Valiant Comics getting ready for a relaunch it might get the ball rolling the Ultraverse’s way. We’ll see. Sorry, no updates this week. I am heading to San Diego Comic Con, so I won’t be on the internet too much. Hopefully I can score some nice stuff but I mainly just want to take in the spectacle. 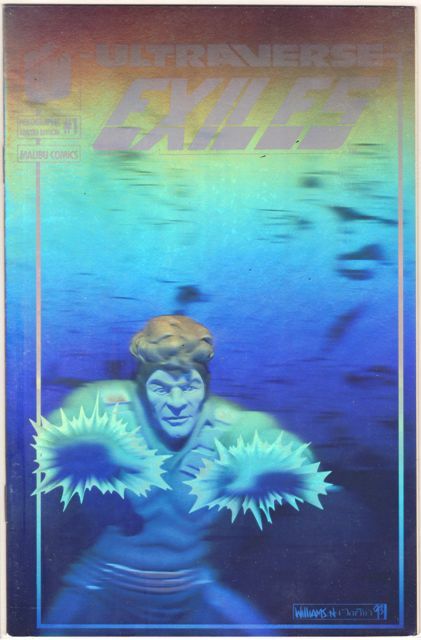 More eBay silliness. I saw somebody had these cards listed for a buck each with $3 shipping (not bad considering they were coming from Great Britain). But he had 10 for sale so I asked how much would shipping be for all 10. He said $4, so I popped the BIN for all 10. They got here really fast, dude packed them wonderfully and they were all in great shape. 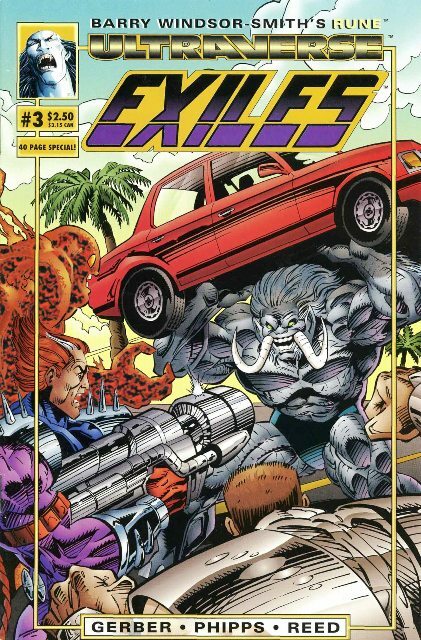 These were the one-to-a-box chase cards from the Ultraverse Masterpieces set (there were two cards in this mini-set). 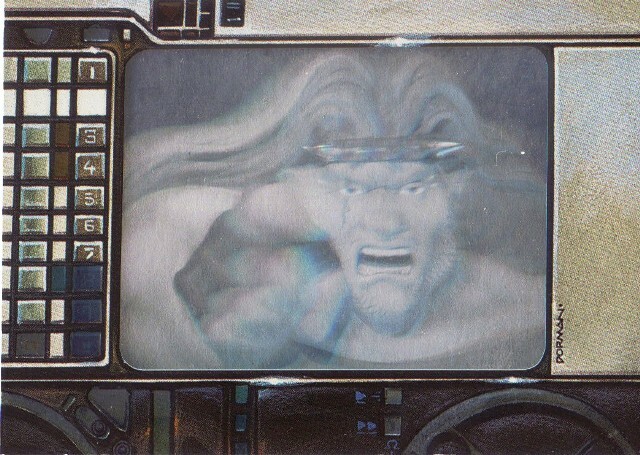 As far as hologram cards go, I’ve seen better. I’ll figure out what to do with these later, I guess. They’re not rare at all; even if there were only 20,000 boxes made, that means there are 10,0000 of these suckers. 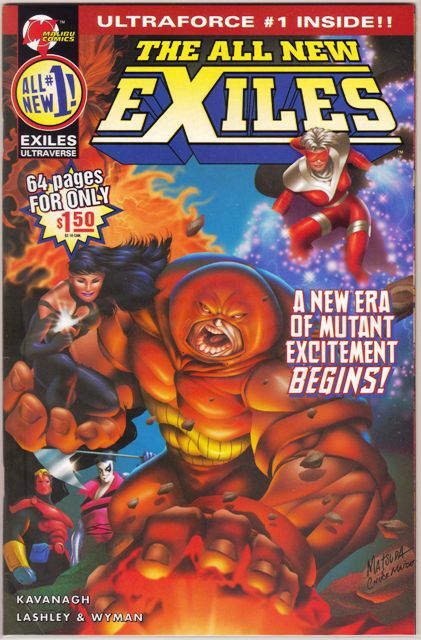 Lots of books here … I threw in the All New Exiles as well. 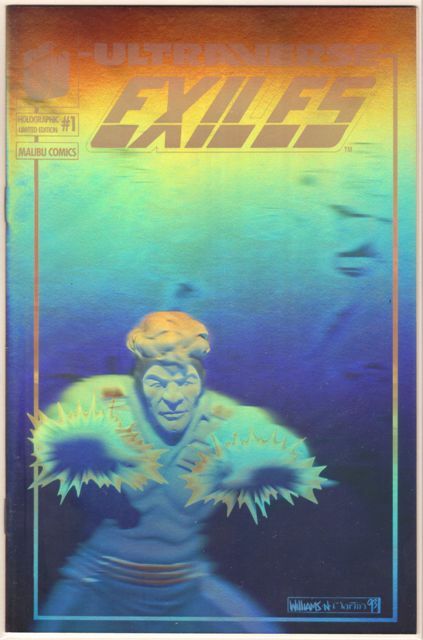 First issue had several variants: Ultra 5000, gold hologram and silver hologram. 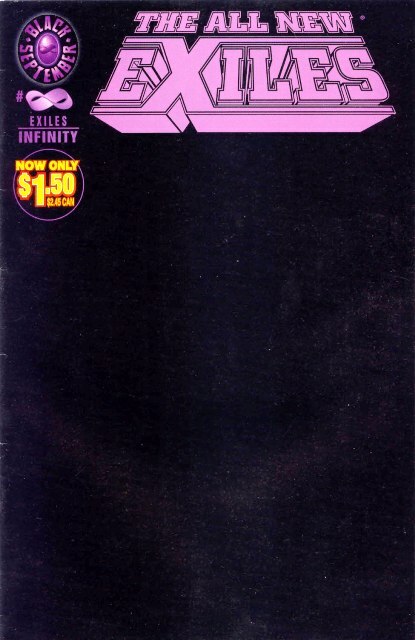 The reboot after Black September had a painted variant and an extra variant for the Infinity issue; same thing for No. 1. These last two were sendaway books. 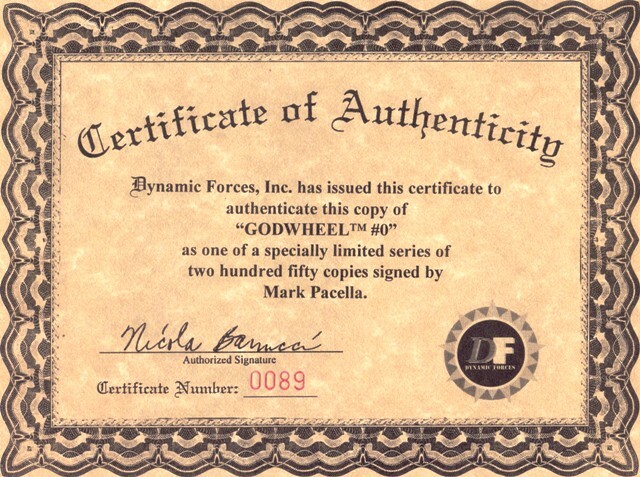 The Limited Super Premium Editions were signed with COAs from either American Entertainment or Dynamic Forces. 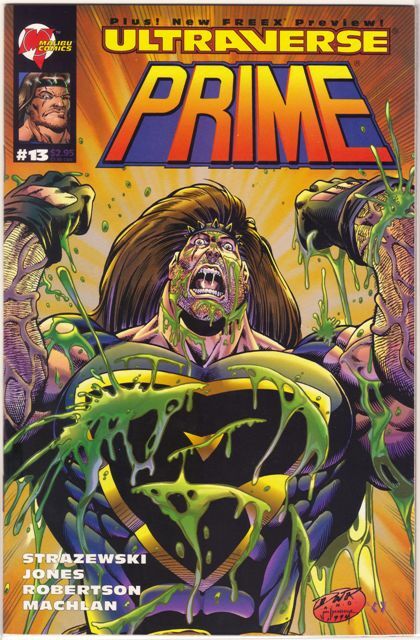 If you want a good place to start reading the Ultraverse, there’s no better jumping-on point than the first year of Prime. 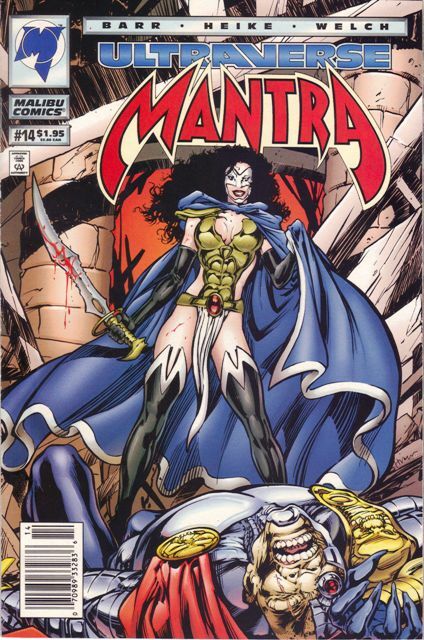 Norm Breyfogle’s art was a huge part of what made those books great, with dynamic action and interesting layouts. 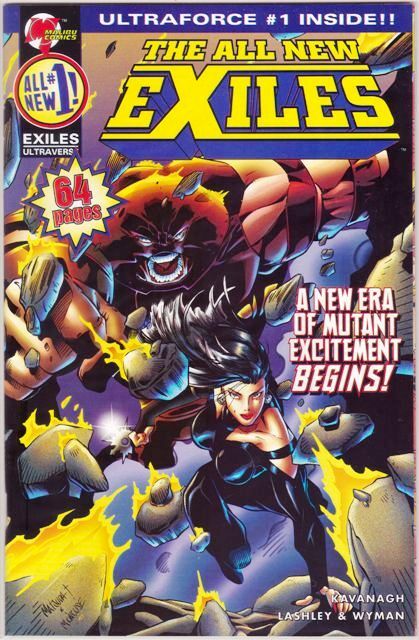 I don’t think there were any better comics being done at that time. He’s also pretty well known for his work with Batman. You can keep up with him and check out his art on his web site. How did you land the job as the artist on Prime? The truest answer for that is that I drew Batman first (lol). 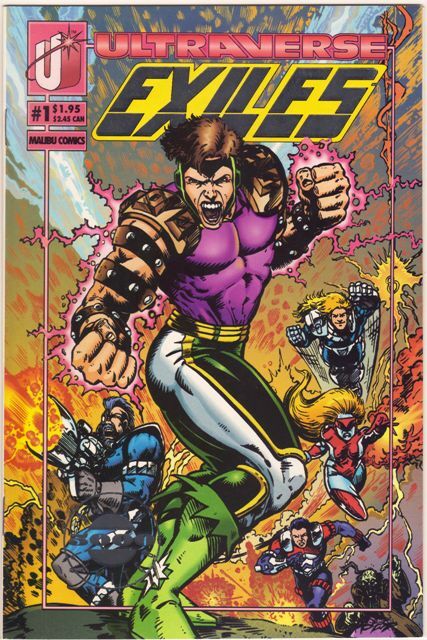 It was most certainly my high recognition factor after drawing Batman for about 6 years which made Malibu Comics want me as their big name artist on what ended up becoming, more or less, their flagship title. 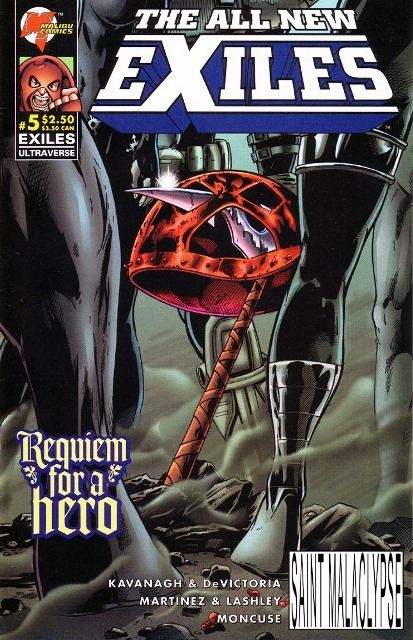 1) I’d been on Batman for a long time and I was willing to try something new. 2) Malibu offered me a substantial signing fee just for coming on board. 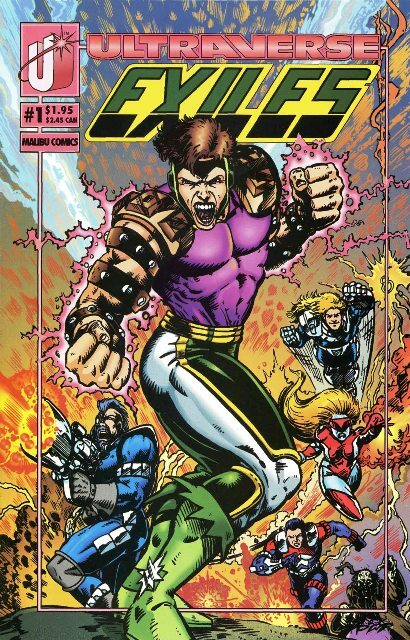 3) Malibu also promised to publish my creator-owned, -written, and -drawn title, whatever it might turn out to be (I hadn’t even a title in mind at that point, but I eventually settled on Metaphysique, which was published under Malibu’s Bravura umbrella). Ultimately, this was the part of the offer that I felt I couldn’t turn down. 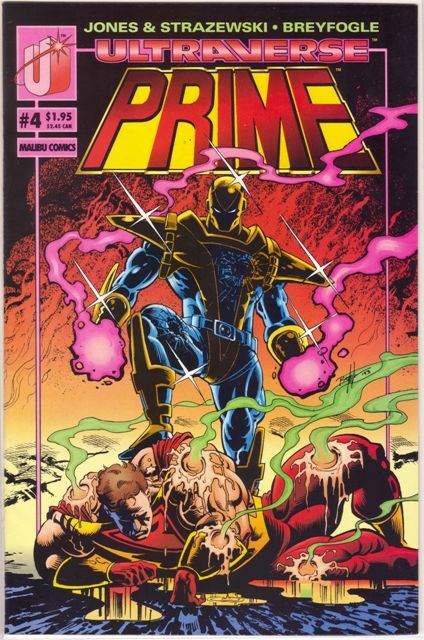 There couldn’t have been an actual human that Prime is modeled on (be pretty scary if there was). What did you use as a reference for the character’s over-the-top physique? I didn’t require any reference at all. By that point I’d been studying and drawing anatomy for almost two decades (the first deacde as an amateur, of course). The only time I used any reference for drawing Prime was once when I needed a good, close-up, extremely physically strained facial expression for him – when he was about to explode out of Maxi-man’s grip, in fact – and then I referenced a shot of Arnold Schwarzenegger working out. In Prime (No. 12) you drew a two-page short of Prime roughing you up a bit. How does it feel to draw yourself? It was fun. 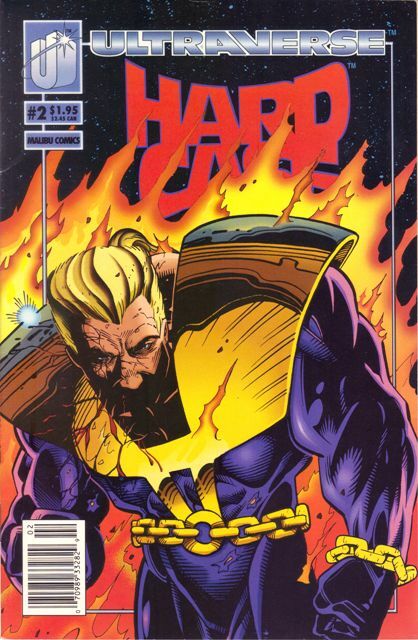 I didn’t exactly try to draw a self-portrait or anything; it was just a comic book version of me. It’s been so long now that I don’t even recall if that two-page short was my idea or my editor’s! 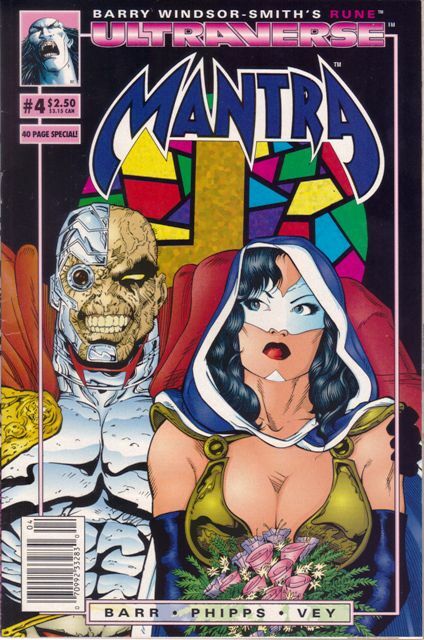 Do you have a favorite Ultraverse souvenir that you kept all these years? 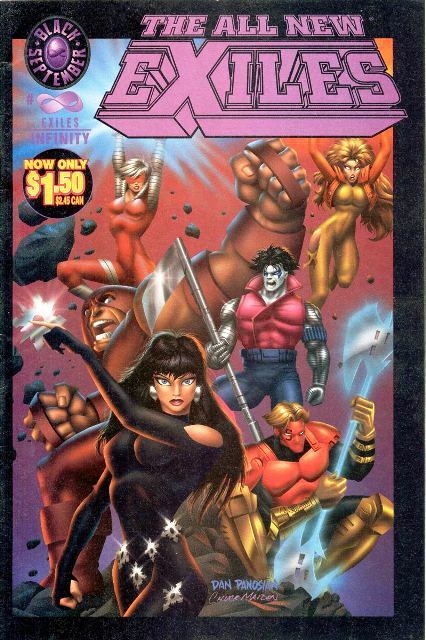 Just copies of the comics, and a couple of the Prime action figures that were made. Oh, yeah, I also still have a T-shirt with Prime’s chest symbol upon it. 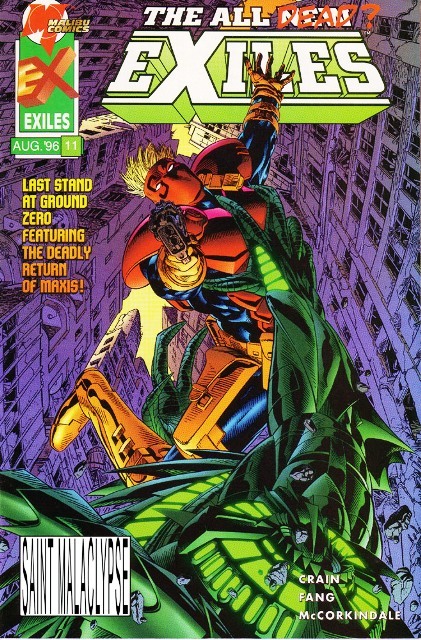 Malibu lasted for a few years, and after that, I returned to DC for a while to do Anarky and The Spectre, but for some reason unknown to me, after 2001, DC stopped hiring me. 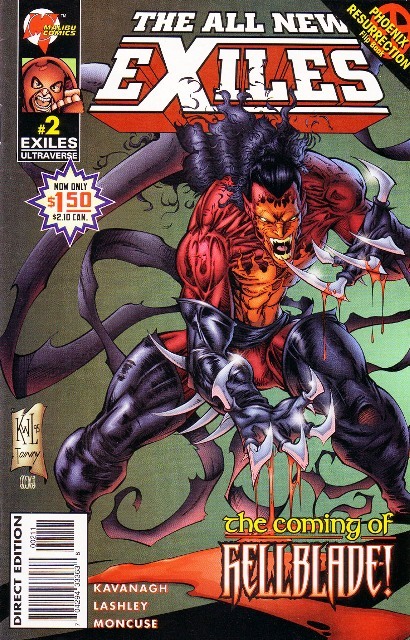 In 2000, I drew a Hellcat mini-series for Marvel, an Avengers Annual, and a Thunderbolts Annual. 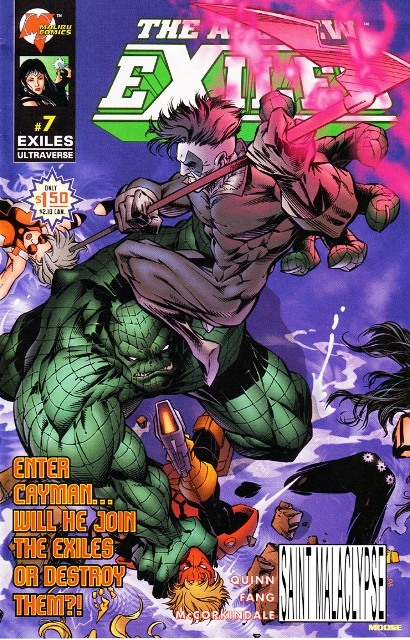 After 2001, Marvel, like DC, stopped hiring me, for unknown reasons. 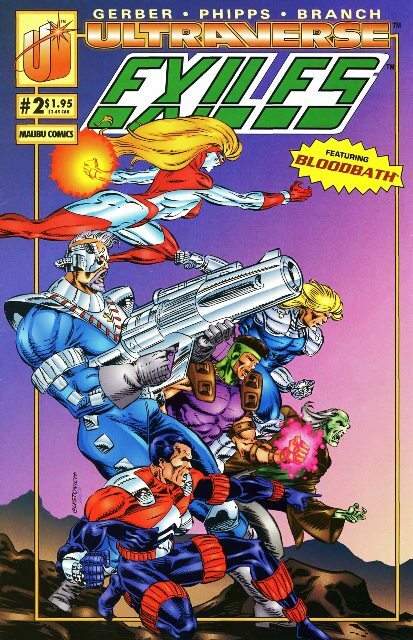 So, I started working in comics at Independent companies, first on the title Black Tide for Angel Gate Press, then Of Bitter Souls for Speakeasy and Markosia, then The Danger’s Dozen for A First Salvo. I also penciled and inked a series of illustrations for Stephen Pytak’s novel (published through Mazz Press) titled The .40 Caliber Mousehunt. From 2009 to just recently, I drew for Archie Comics, starting with a “New Look” Archie story arc, then penciling the equivalent of two books per month for Archie Comics in the magazine-formatted Life With Archie: The Married Life. I was also penciling and inking the covers. Also in recent years, I drew a Munden’s Bar story for IDW, and a lot of fan commissions. In 2010 I drew and painted 21 full-color illos for another of Stephen Pytak’s novels (again published through Mazz Press) titled The Wild Damned. For the last few years, I’ve also been doing occasional illustration assignments for non-comics clients of all kinds (advertising, books, magazines, CDs, etc.) via my London-based representative, Debut Art. This month I finished penciling and inking the interior pages and the cover of the one-shot, 26-page Batman: RetroActive book representing the ’90s, on sale in August. 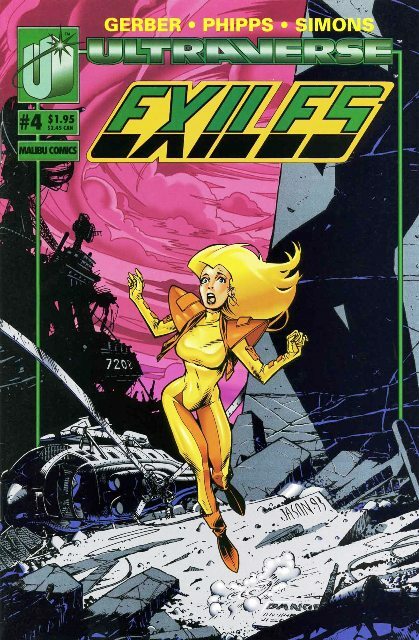 I was very surprised when DC editor Jim Chadwick emailed me with the offer, because it had been about ten years since I’d done anything with them. Now, I’m not drawing Archie any more, but I’ve begun penciling and inking a new monthly series as the on-going artist. The title and company will be announced any day now. Until then, I can’t divulge it. 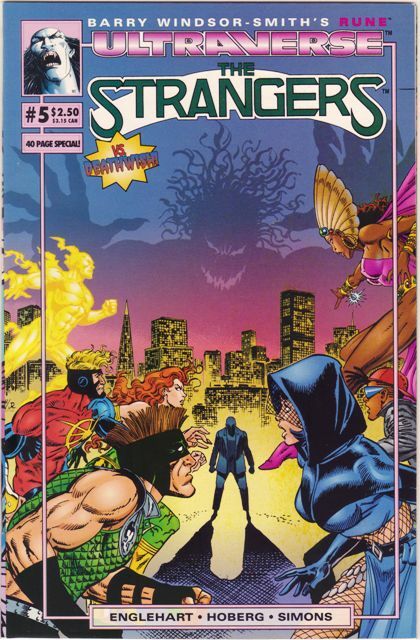 Out of all the newsstand covers, Strangers 5 seems to be the only one that has a different “blurb” on the cover (actually, no blurb … they removed it) from the regular version. The art is the same (unlike Mantra 5 or Solution 5, for example), so the only difference is minor. 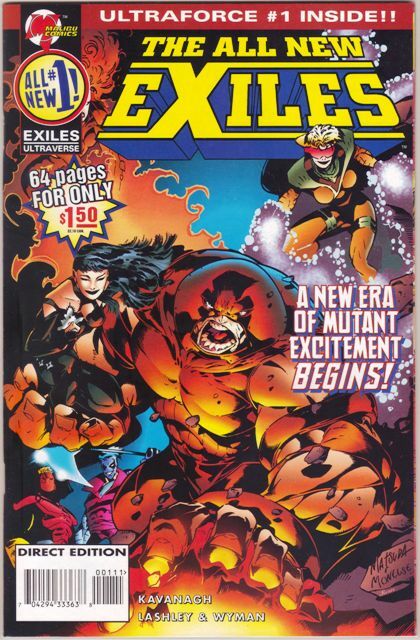 Barely worth calling it a variant, but I think I am going to add it to the checklist since there is a difference. I just bought the one on the right off eBay for a buck. Dude mailed it to me in an envelope with no boards or anything. Thanks! Well, here’s a slippery slope. 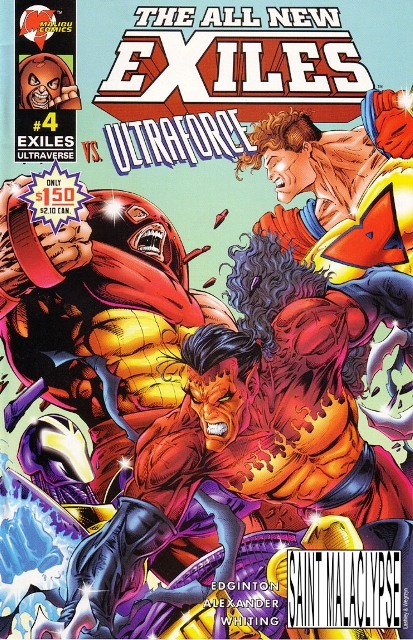 I already have a complete run of all the regular Ultraverse issues but I’ve known for a while that there were two versions of most of the earlier comics. The only difference is a UPC code on the front (there were also price differences on some of the polybagged issues that had UPC codes … I’m also working on a list of those). I haven’t been making much of an effort to collect those UPC variants. I think (please correct me if I’m wrong) that the UPC code means that book was sold somewhere besides a comic shop (book store, grocery store, etc.). 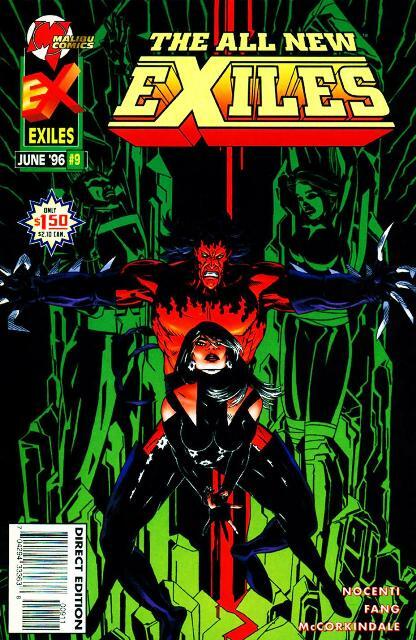 The ones without the UPC code are more common for that reason, since most collectors bought their books from comic shops. Anyway, a couple of weeks ago my local comic shop closed. After 16 years of getting my new books there, I had to find a new place. There are a few around town and I finally settled on one downtown near my office. 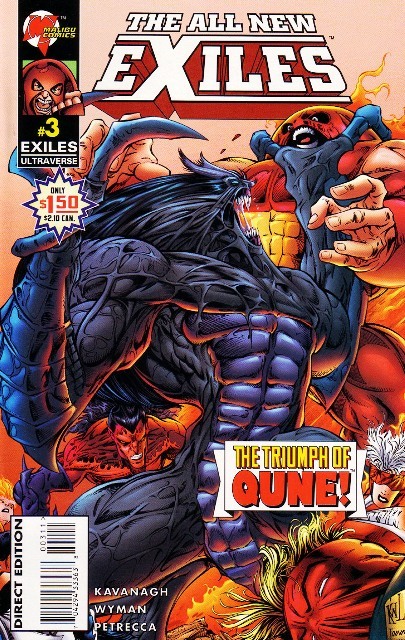 After setting up a pull list I went through their back issues and found a few Ultraverse books with UPC codes. I bought them. I spent a month scanning through photos on eBay (Bruce helped) to make a list of which books had UPC variants. This is just the list of books that were visually verified. I don’t think that is anywhere near a complete list. 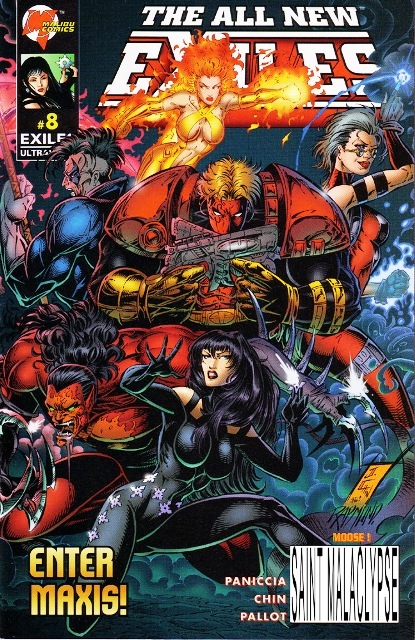 My hunch is that every single book from the first year-and-a-half or so of the Ultraverse has a UPC variant. Later on practically all of the books had the UPC code box, so that put an end to this silliness. Ah well, it will give me something to look for. 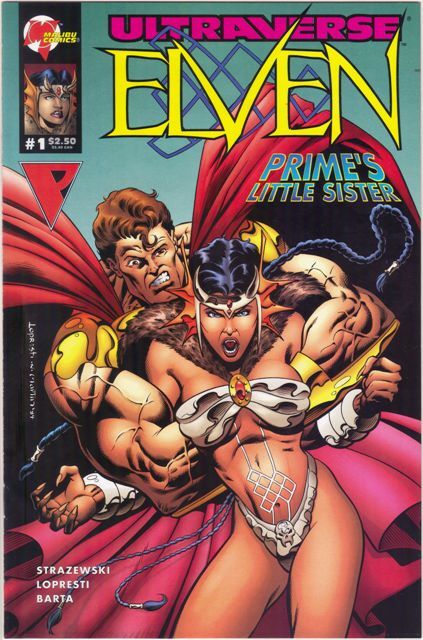 Another short mini-series, this one deals with a little girl who has powers and strength similar to Prime. 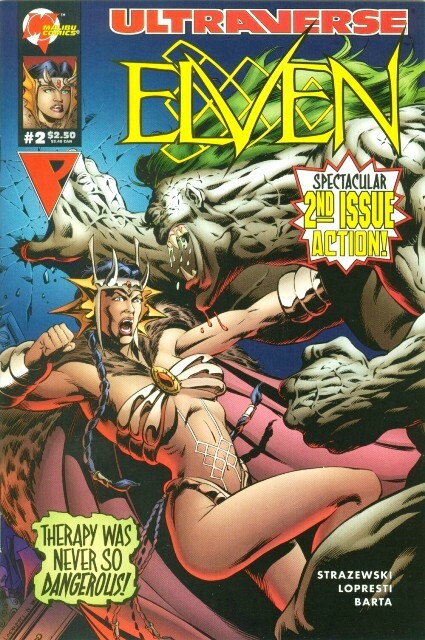 It’s an interesting concept since it’s hard to think of something more dangerous than an angry girl with superpowers. Nothing too crazy with the covers apart from the Limited Foil Edition cover for No. 1. 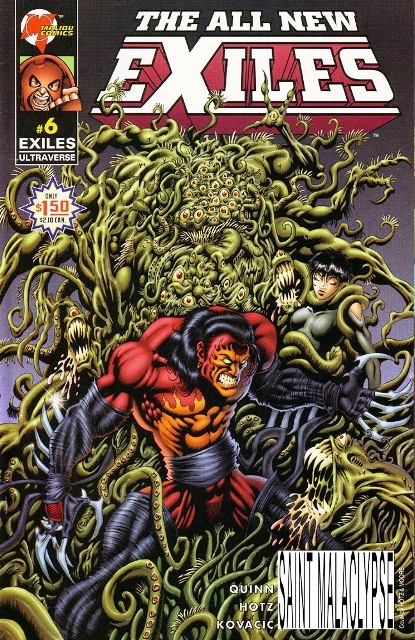 The 0 issue is dated October, 1994. The rest were from February to May of 1995.